Nozawa Onsen Snow Resort (野沢温泉スキー場) is one of the largest ski resort in Japan. It is located in northern Nagano Prefecture. There are 44 different courses from the beginners to the experts. The longest route will be about 10 km long. The top of the mountain is about 1,650m has a great quality of snows up there. There are so many courses that have more than 2 km long and some of them have 240m wide. One Day 4,800 JPY for adult, 2,200 JPY for a kid. Half-Day 3,700 JPY for adult, 1,600 JPY for kids. There is a night run. There is a ski gear rental shop. 1. use Hokuriku Shinkansen to Iiyama Station. 2. use a Nozawa Onsen express bus. 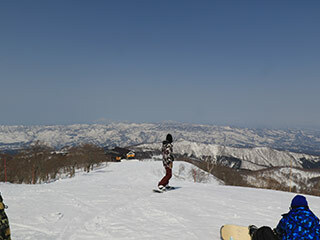 Nozawa Onsen Snow Resort is one of the best tourist spots in Japan. It is located in Nozawa Onsen that is a great Onsen Town. This ski resort has 44 different courses and the longest route is about 10 km long. So, it has great courses that satisfies both experts and beginners. On the top area, because of the high altitude it has a great snow. Yamabiko : The top of the mountain area. 1,300m for the intermediate and expert persons. Ski Line : Long run course. 4,500m for the intermediate and expert persons. Paradise : Great for families. 1,200m for all levels. Forest drive course: 5,000m long for the beginners.